Supports migration of SQL Server or Oracle on-premises databases to Azure SQL Database, Azure SQL Database Managed Instance, or SQL Server on Azure Virtual Machines. Represents a fully managed database migration service for both operational databases and data warehouses. Provides a resilient and reliable migration pipeline that requires minimal user involvement during the overall migration process. Is recommended for large (in terms of number and size of databases) migrations – DMS can migrate databases at scale. During Public Preview, we will continue to add functionality and source database types in anticipation of the General Availability release of the service. Supports upgrade of SQL Server 2005 and later versions to SQL Server 2012, SQL Server 2014, SQL Server 2016, and SQL Server 2017 on Windows and Linux, and Azure SQL Database. Detects compatibility issues that can impact database functionality on a newer target version of SQL Server. Generates assessment reports that identify exactly what is required prior to performing a migration. Recommends performance and reliability improvements for the target environment. Allows for moving the schema, data, and uncontained objects from a source server to a target server. Supports compete migration from Oracle, MySQL, SAP ASE, DB2, and Access to SQL Server 2008, SQL Server 2008 R2, SQL Server 2012, SQL Server 2014, SQL Server 2016, SQL Server 2017, Azure SQL Database, and Azure SQL Data Warehouse (supported only by SSMA for Oracle). Allows users to convert a database schema to a Microsoft SQL Server schema, upload the schema, and then migrate data to the target SQL Server. -Azure DMS supports migration of SQL Server or Oracle on-premises databases to Azure SQL Database, Azure SQL Database Managed Instance, or SQL Server on Azure Virtual Machines. In the future, we will include additional sources, such as Sybase, DB2, Teradata, etc. As we extend the scope of DMS, functionality in DMA and SSMA will be integrated into the service. -DMA supports upgrade of on-premises instances of SQL Server 2005+ to SQL Server 2012 and later versions and to Azure SQL Database. -SSMA supports compete migration from Oracle, MySQL, SAP ASE, DB2, and Access to SQL Server 2008 and later versions, to Azure SQL Database, or to Azure SQL Data Warehouse (SSMA for Oracle only). The choice of Microsoft Windows Azure SQL Database is because it is very similar to Microsoft SQL Server. Microsoft SQL Server is widely available. Users can create and test the databases locally and then migrate the database objects to the Microsoft cloud platform, Windows Azure. SQL Server is included in the Windows Azure Software Development Kit (SDK), which can be downloaded for free. The creation of a database in Windows Azure SQL Database is relatively easy. Once the database is created on the cloud platform, users can get a quick start on the hands-on practice. On the other hand, Windows Azure SQL Database is sophisticated enough to handle most of the enterprise level database tasks. Windows Azure SQL Database includes the components listed that can be used to accomplish various tasks in database system development, these components are often included in other sophisticated DBMS systems. The management tools are commonly used by DBA/DBD to create and manage database objects, extract information from existing databases, implement data access schemes, develop database applications, perform data analyses, and exchange data over the Internet. The DBMS provides a unified working environment to allow database professionals to accomplish all the above tasks. * Stored Procedures: A stored procedure contains programming code to perform a sequence of operations or call other procedures. It is precompiled and stored in SQL Server for better performance and security. * Functions: A function also contains programming code to perform a sequence of operations. It can be called by its name by other programs and returns a single value to the calling program. Windows Azure SQL Database provides many built-in functions to assist the development of databases. * Database Triggers: A database trigger is a specific kind of stored procedure. It will be executed automatically when a specific database event occurs. A database system, as the heart of an information system, can be very complicated. The process of database development normally includes several major steps: requirement analysis for the to be built database system, design of the database system based on the requirements, development of the database system according to the design, deployment of the database system, development of database applications, database management & maintenance, & development for data analysis services. The first task is to investigate the requirements for the database to be developed. Once the first task is accomplished, it is to time to sort out the collected information, interpret the collected information in technical terms, and figure out the relationships among the things to keep track of. The choice of a DBMS will depend on the requirements of the future database. The chosen DBMS should be able to create a database system that meets all the database management, data analysis, and data storage requirements. By using the DBMS, the database designers can transfer their data model to a relational database. The business data will be stored in the well-defined database and be organized according to the specifications made in the data model. Once the database is constructed, before the newly developed database can be used in the business process, it needs to be tested to see if the database is able to meet all the requirements. The database administrators (DBAs) and users should be involved in the testing process. Based on the testing results, the database will be modified again by the database designers to meet the users’ needs. To keep the database running and providing services continuously, the database should be managed by a group of experienced DBAs. The DBAs perform tasks such as creating user accounts, performing data transformation, database backup, restoration, and doing performance tuning. It is the DBAs’ responsibility to enforce security measures. For a large corporation, the DBAs may also perform tasks such as database partitioning and managing network utilities for distributed databases. Note: A cloud platform can significantly reduce the workload of the DBAs since the tasks such as database backup can be taken care of by a cloud provider. 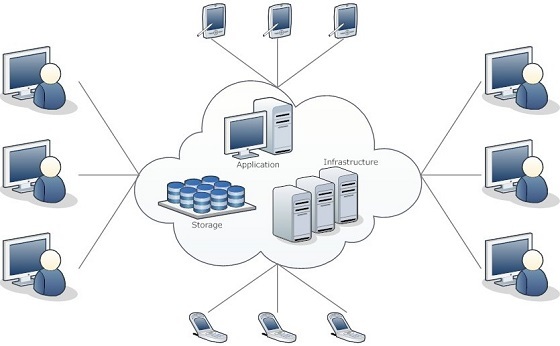 Cloud computing has the potential to significantly reduce the cost for developing and managing a database as well. The cloud computing technology can be a great solution for those small businesses that lack resources to support their own IT infrastructure. As the business grows, the company can subscribe more services and computing resources. Note: The daily IT infrastructure maintenance will be handled by the cloud provider. This means that the cost for IT service personnel can be significantly reduced. E Commerce can fully take advantage of cloud computing since the services and computing resources provided by the cloud provider can be accessed anywhere and anytime. 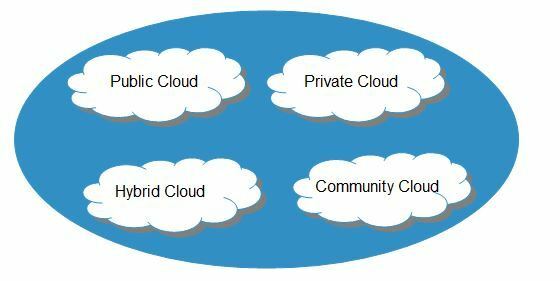 Here are three types of cloud computing platforms: Private Cloud, Public Cloud, and Hybrid Cloud. Based on the business requirements, the company can create its own cloud services. 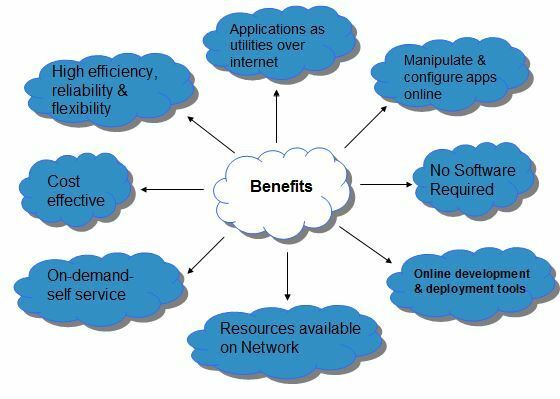 In a public cloud, the services and computing resources are provided by a third-party cloud provider. 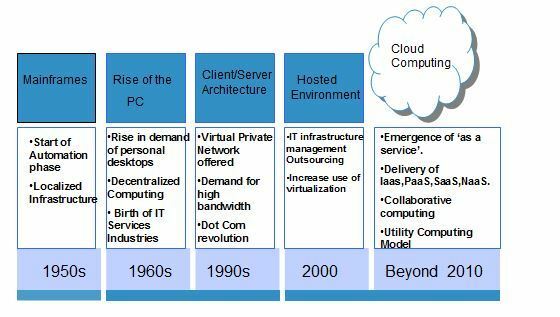 The data center and IT infrastructure used to support cloud computing are developed and managed by the third-party cloud provider. Some of the well-known ones are Amazon Elastic Compute Cloud (EC2), IBM Blue Cloud, Microsoft Windows Azure, last not least Fujitsu Cloud Solutions and download all ” White Book ” guides to from below link and so on. The FUJITSU Cloud Integration Platform is charged on a pay as you use basis and available as a self managed cloud service or delivered by Fujitsu as a Managed Service. 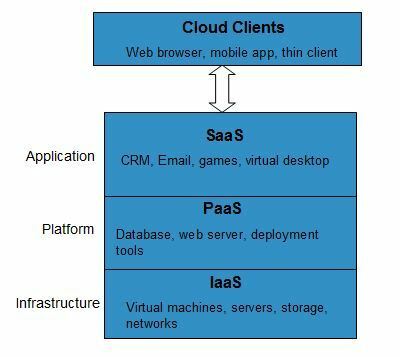 There are three major types of cloud services: SaaS, IaaS, and PaaS. Recently, the personal cloud has also become available in cloud computing. If Windows Server 2008 is used as the operating system, you also need to install .NET Framework 3.5. The early versions of the above software may also work. However, more configurations may be required. 2. You need to find out if your computer runs on a 32-bit or 64-bit operating system. Later, you need to download the Windows Azure SDK that matches your operating system. 3. To develop web applications, Internet Information Services (IIS) 7.0 should be enabled. Suppose that you have the 64-bit Windows 7 Professional operating system running on your computer. To verify if IIS is enabled on your machine, click the Start button, Control Panel, Programs and Features, and Turn Windows features on or off. You should be able to see if the node Internet Information Services is checked. If not, you need to check the node to enable IIS. 4. To make sure that ASP.NET as well as other features is enabled, click Start –> Control Panel –> Programs and Features, and Turn Windows features on or off –>. Expand the IIS node. 5. If you have a previous version of the Windows Azure SDK, make sure to remove all its components in the Control Panel before installing the SDK. a. In the IE window, click the Tools menu, select Pop-up Blocker, and then click Pop-up Blocker Settings. b. In the address bar of the website here , click Add, and then click Close. 1. The first step is to download the Windows Azure SDK. You can download the Windows Azure SDK from the visit website. 2. On this website, you can find different versions of SDKs. For full installation, under the label .NET, select a version of SDK to install. If Microsoft Visual Studio 2010 is installed on your machine, click VS 2010 as Then, click Save. 3. After the package is downloaded, navigate to the Downloads directory where the file is downloaded. Then, double click the downloaded file to start the installation process. The installation may take some time. 5. After the installation process is completed, to test the SDK, click Start –> All Programs, and expand the Microsoft Visual Studio 2010 node. Right click Microsoft Visual Studio 2010 –> select Run as administrator. After Microsoft Visual Studio is opened, click File –> New Project, and click –> Cloud under the Visual C# node. In the Templates pane, you should be able to see Windows Azure Project. Click Cancel to exit. click Start –> All Programs –> SQL Server 2012 –> SQL Server 2012 Management Studio. After the Connect to Server dialog is opened, in the Server name dropdown list, select the server on your local server as (On your computer, the name of the SQL server will be different.) Select Windows Authentication as the method of authentication. After the server name is selected, click the Connect button. 8. By default, the database named master is installed for database management. Expand the Databases node and double click master. You should be able to see the database objects such as Tables, Views, and Programmability. In addition, Microsoft SQL Server also includes Service Broker, Storage, Security, Users, Roles, Schemas, and Symmetric Keys. Service Broker: Service Broker provides messaging services. It can be used to let applications send and receive messages among multiple SQL Server instances. Storage: Storage contains Full Text Catalogs for storing Full Text indexes, Partition Schemes for mapping partitions to a set of filegroups, and Partition Functions for mapping tables or indexes into partitions. Security: With Security, you can configure database security measures for databases. The main security components are Users, Roles, Schemas, and Symmetric Keys. Users: The Users object defines users in a database. It is used to create user accounts. A user account is created to identify each individual user. A user can access his/her account with his/her user name and password. After logging on to a database, the user can access database objects with properly assigned ownership and permissions. You can grant and modify permissions on objects in a database for users with this component. Roles: The Roles object allows you to group users with the same set of permissions. Roles can be used to simplify administrative tasks. For exp, when modifying permissions, instead of changing the permissions for each individual user, you can modify the permissions for the role. Schemas: The Schemas component is a container that includes a set of database objects. A schema can have its own set of permissions. A database user can own several schemas. In contrast, you can assign several users to the same schema. If a database user is not assigned a schema, the default schema for the user is dbo (database owner). Symmetric Keys: This component is used to configure symmetric keys for encryption. Let me know if you have any further question and your comments will be learning point.